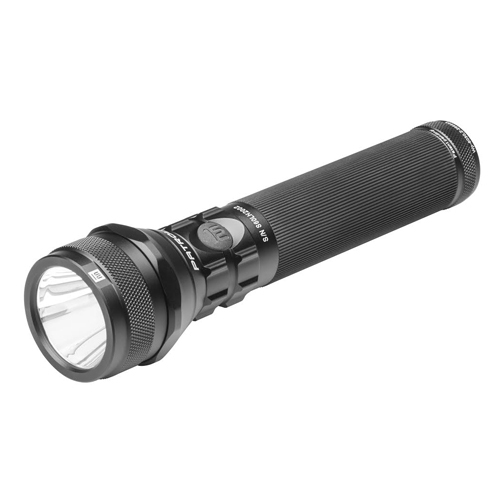 New version of the aluminium rechargeable LED flashlight with 700 lumens of maximal power. 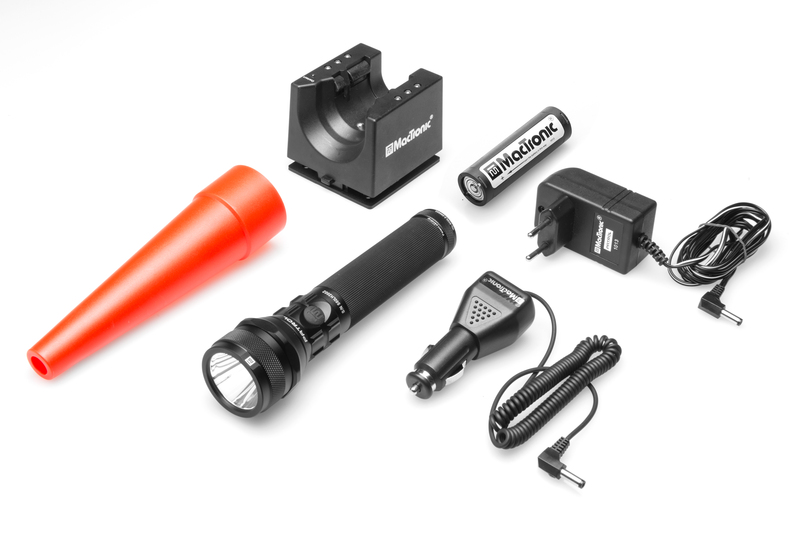 The flashlight is extremely robust, and is made from high grade aircraft aluminum with a special rubber to ensure safe grip. It has two, interchangeable switches: the standard switch in the grip, and a tactical switch in the back. 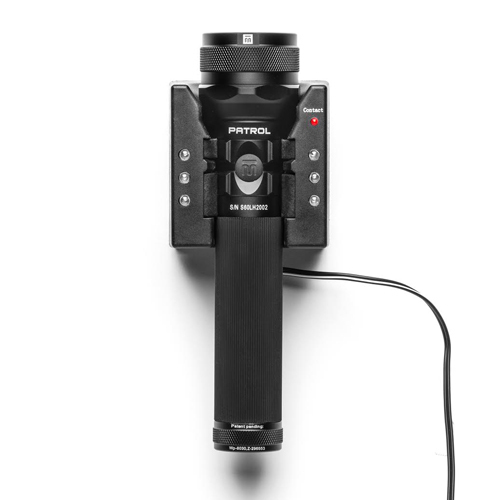 The flashlight is charged through a special charging stand (included). The stand has a wall mounting fixture and emergency light function. This new version includes an extra battery charging station to charge a second battery (sold separately) at the same time. The kit includes: a charging stand, 12V DC charging cable (for connecting to car cabin socket), 230V AC main cable, a battery.